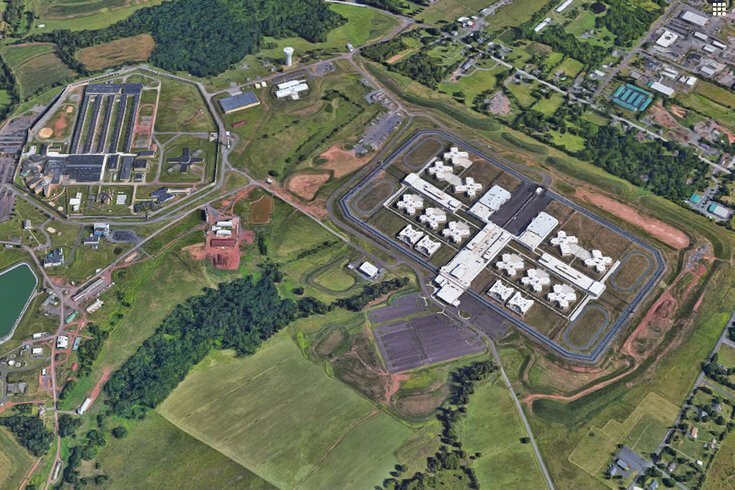 The $400 million SCI Phoenix prison, at right, replaced the aging SCI Graterford, at left, in Skippack Township, Montgomery County. More than 2,500 inmates are on the move in Montgomery County. The prisoners are moving from the state prison at Graterford, a facility constructed in 1929 in Skippack Township, to a new, $400 million complex called State Correctional Institution Phoenix less than a half mile down the road. The transfers began just after 9 a.m. Wednesday and will continue – several hundred inmates a day will be moved aboard buses – until all are at the new prison, the Department of Corrections told the Associated Press. A spokeswoman told the AP that the roads between the facilities are closed to the public during the transfer. A separate, 192-bed transition unit for female prisoners will focus on reentry and family reunification. Formally dedicated on June 1, 2018, it will replace the aging SCI Graterford. The new prison is dividing into East and West facilities, sharing an administration/support Building. Each side will have its own program services building and commissary.